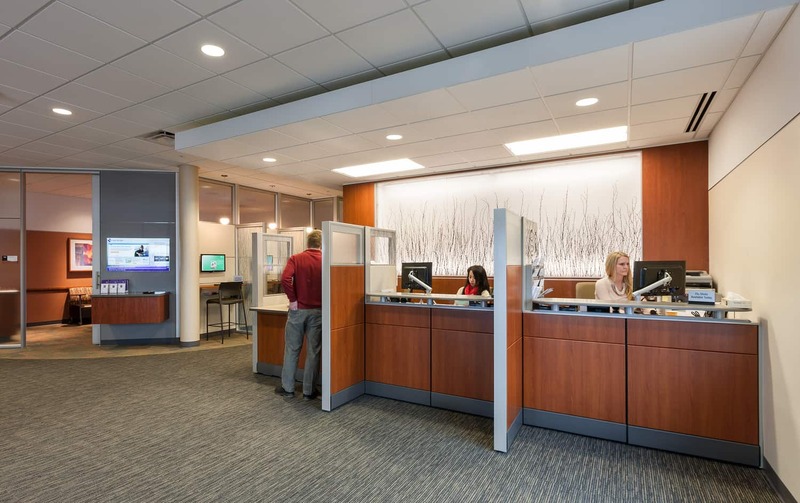 Based on a design developed by BWBR to support Park Nicollet Clinic’s migration to the medical home model, the Champlin location is tailored to support both primary and urgent care. The design solution emphasizes collaboration between staff and patients and flexibility based on patient needs. An open staff core model co-locates an entire care team, including physicians, nurses, nutritionists, counselors, and members in a central location to better serve the patient. 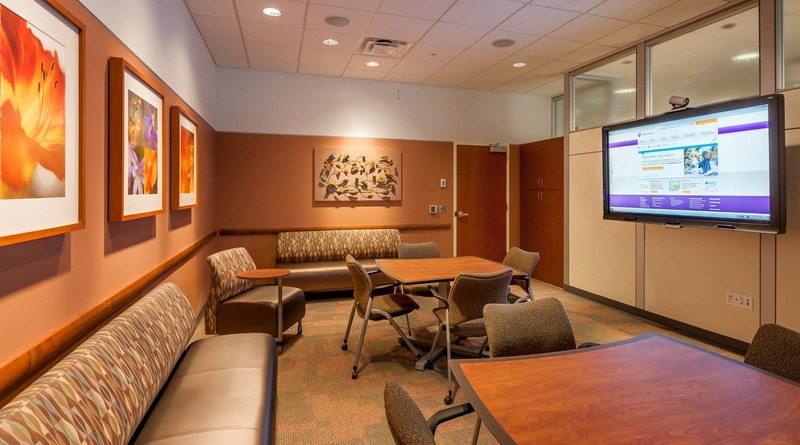 A large community room, care coordination room, and left-handed exam room further supports the focus on collaboration, bringing patients, families, and staff physically together. 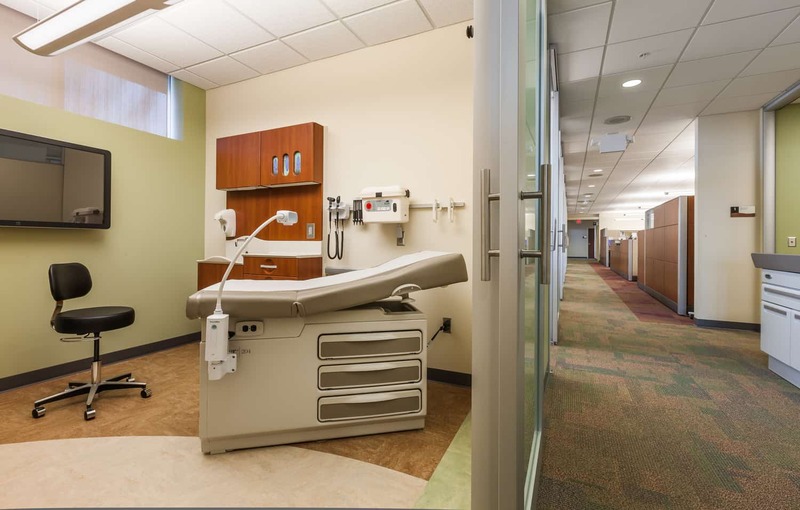 To adequately serve current and future needs of patients, a demountable wall system as well as an easily-alterable staff care gives the clinic flexibility to reconfigure the space base on care needs and staffing models. 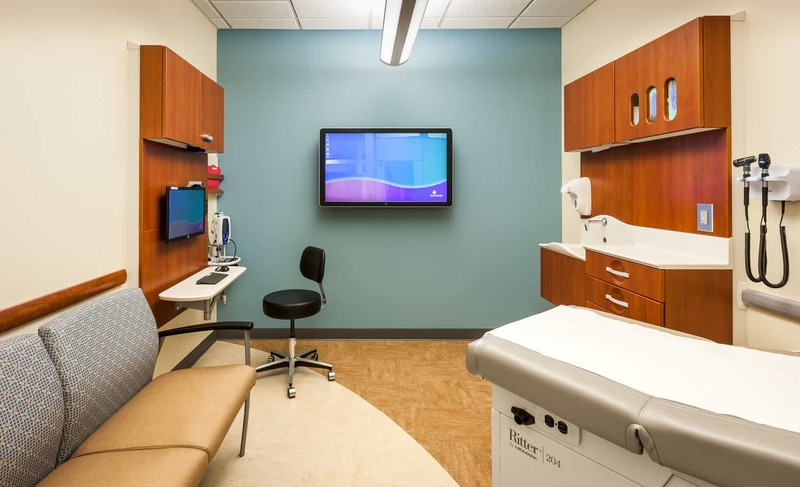 New technology installed in all exam rooms also gives physicians and patients an interactive touch-screen monitor for education, sharing information, and live distance consultations with specialists, improving access to care and expertise.